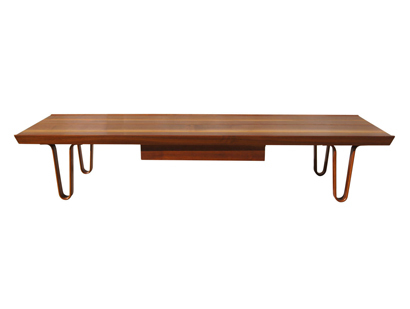 This table, model 4699, was designed by Edward Wormley and manufactured by Dunbar. 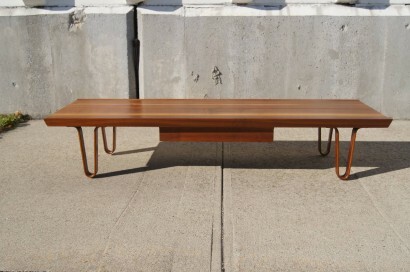 It is composed of a soap grain walnut top and bent wood legs. 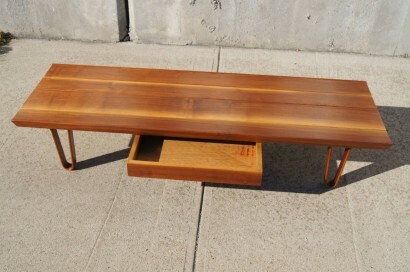 It features one drawer with the original Dunbar table. 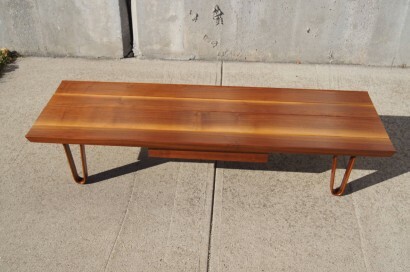 This table could also serve as a bench.